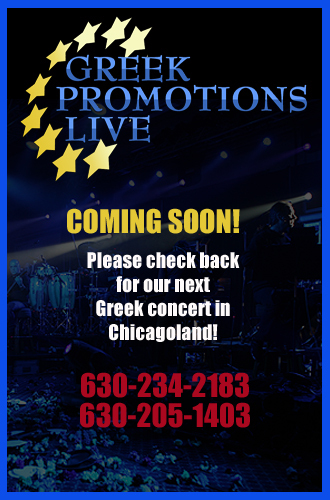 Greek Promotions Live specializes in bringing Greek entertainment to Chicagoland. We contract and produce well-known shows in the Midwest. Greek Promotions Live works closely in collaboration with the most recognized names representing the Greek entertainment industry. This allows us to obtain the most exclusively sought after artists from Greece.